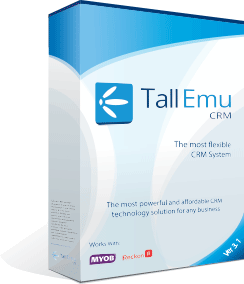 Standard forms in Tall Emu CRM include things such as Contact, Company, To-Do Item, Company and Meeting – all of the standard CRM type forms and data fields and quite a few more. We’ve also made it easy to create your own if you need to store more information in different ways. For example, a hotel may want to have a record which shows which nights a guest has stayed with them and how much they paid. A finance company may want to know what properties a customer owns, and are they mortgage (and with whom, and at what rate). Using Tall Emu CRM you can easily accomplish these changes with our built in editing tools, or, for more complex work we can do it for you.